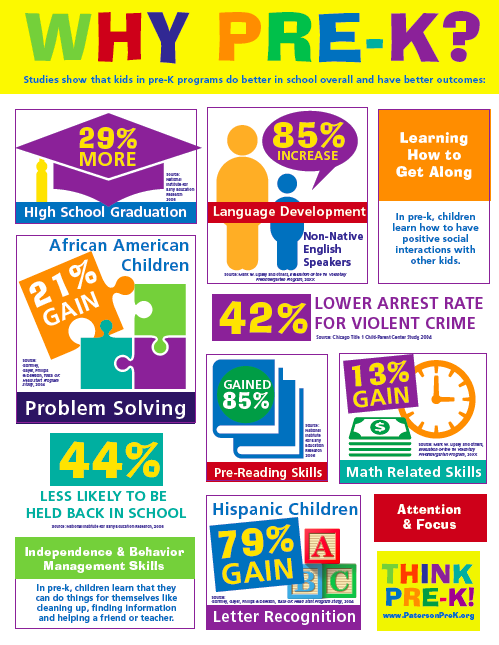 Kids who go to Pre-K are ready when they start kindergarten and do better in school. 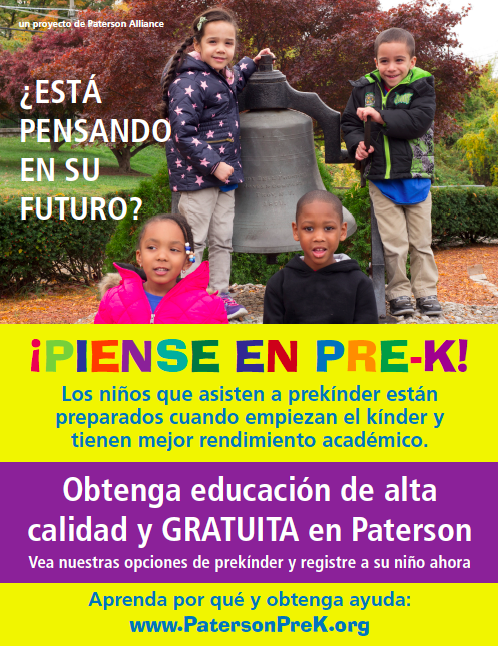 The Paterson Alliance in Paterson, NJ embarked on a multi-year campaign to raise awareness and attendance in the city’s free quality pre-k programs. The message was simple: Think Pre-K! 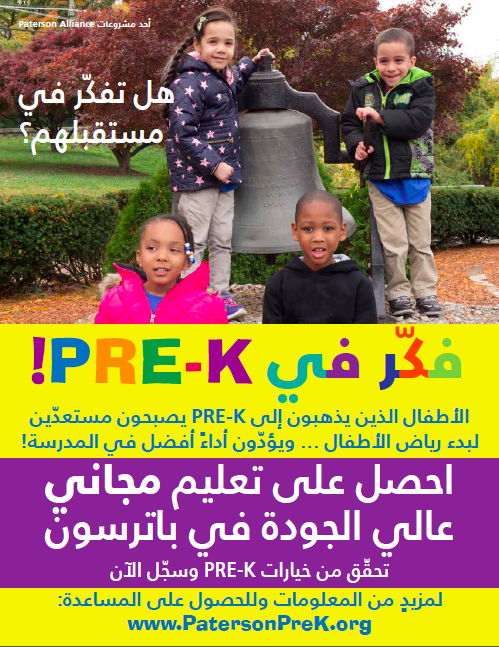 Public Awareness Campaign: Think Pre-K, including traditional placement outreach and direct grassroots organizing to increase word-of-mouth information. Multi-lingual Collateral Material in English, Spanish, Bengali & Arabic – the top 4 languages spoken by Paterson residents. “Pre-K Navigators” staffed positions of trained and paid organizers in each ward of Paterson NJ to reach people directly – with coverage of all 4 languages. Website hub for information, direct contact with Navigators and access to register for pre-k programs. Our goal for the first 6-month outreach? We set out to tap 6 outreach channels and reach at least 600 families in Paterson with the Think Pre-K message. Through a direct grassroots strategy and newly available direct mail options that didn’t break the budget, the campaign reached more than 20,000 people through 7 outlets. 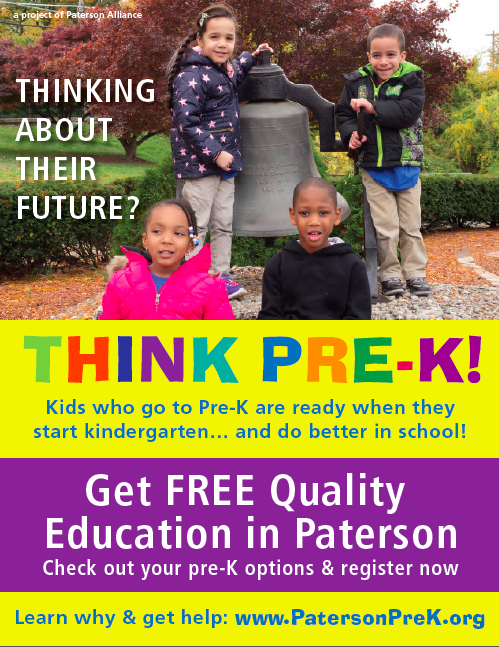 Learn more about Think Pre-K!